Atal Bihari Vajpayee health updates: Home Minister Rajnath Singh on Saturday visited All India Institutes of Medical Sciences (AIIMS) to meet former prime minister Atal Bihari Vajpayee and enquire about his health condition. Earlier in the day, it was reported that his health condition has been again deteriorated. Home Minister Rajnath Singh on Saturday visited All India Institutes of Medical Sciences (AIIMS) to meet former prime minister Atal Bihari Vajpayee and enquire about his health condition. Earlier in the day, it was reported that his health condition has been again deteriorated. Besides Rajnath Singh, BJP chief Amit Shah also visited AIIMS to enquire about his health. According to reports, Singh reached the premiere institute at around 8:15 pm while Shah arrived AIIMS at around 6:30 pm. 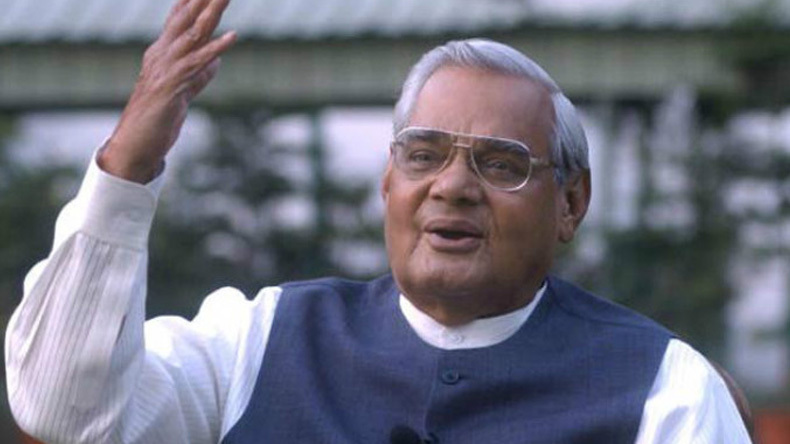 On June 11, Vajpayee was admitted to the hospital following an infection in the kidney, chest congestion, urinary tract infection and urine output on the lower side.